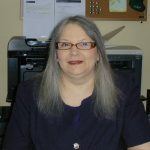 Advantage Financial Professionals Inc., founded by Lynn Horn, is a full-service accounting firm in Tennessee offering a broad range of assistance for business owners, executives, and independent professionals. They provide services such as bookkeeping, accounting, tax preparation, payroll, QuickBooks support, and more. Company Advantage Financial Professionals Inc.
Work For Advantage Financial Professionals Inc.? Claim This Page.